$3 Magazine Sale at TwoMorrows, EXTENDED thru September 5! EXTENDED through Sept. 5th, a huge assortment of our magazines are only $3 each at www.twomorrows.com! Many are in low stock, and will be sold out after this sale, so get ’em while you can! This entry was posted in TNT on 15 August 2018 by Mr. Morrow. Here’s what TwoMorrows Publishing has listed in Diamond’s latest Previews catalog! 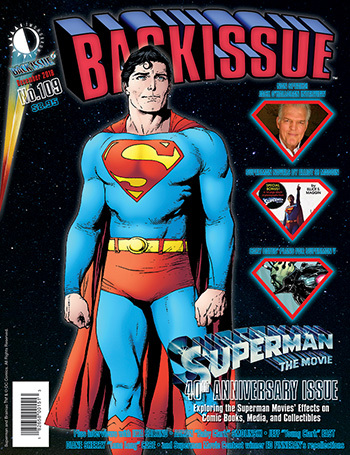 BACK ISSUE #109 – NEW! 40th Anniversary of Superman: The Movie! This entry was posted in TNT on 2 August 2018 by Mr. Morrow.